Scientists have discovered a submerged continent in the Indian ocean, between Madagascar and India. 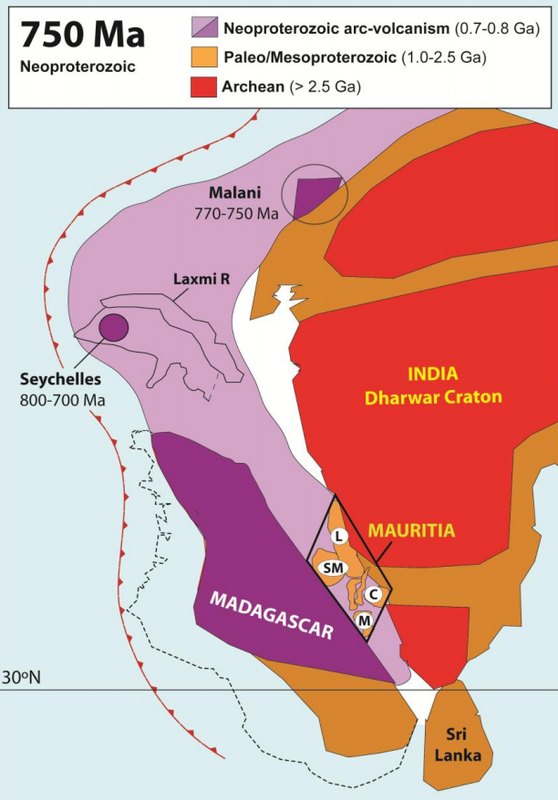 According to sediments found on the coast of Mauritius, at some point during the last 2 billion and 600 million years ago, there was an archipelago that separated from Madagascar and the Indian sub-continent. They then got submerged during the tectonic plate movements that resulted in the way land masses exist today. Update: A reader pointed out that perhaps this was the origin of the legends of Lemuria. Although that is not accurate, the Wikipedia article on Lemuria is worth a read. The sandy beaches of Mauritius aren’t just for leisure then; they can get you published in a Nature journal. What more could you ask for, really? On a more important note, there appears to be some opposition on Reddit to this paper’s conclusion from some scientists in the geosciences. Their main criticism seems to be that based on the scientists’ findings, the conclusion that an entire continent has been submerged requires a leap of faith.